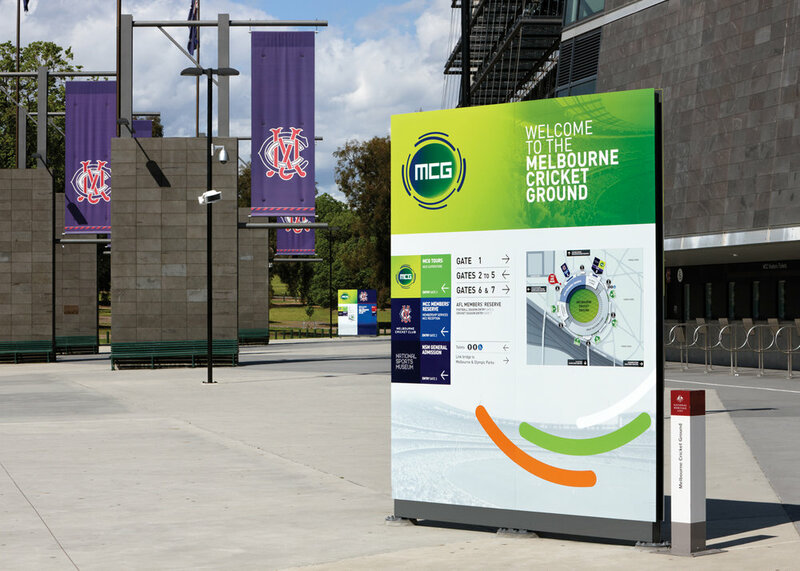 The Melbourne Cricket Ground (MCG) is home to the Melbourne Cricket Club (MCC), the National Sports Museum (NSM) and the operational centre for MCG Tours. BVD established a clear and scalable graphic system to cater for the varying combinations of brand and product offering. A concourse wide map was developed to identify key entrances and location current position.